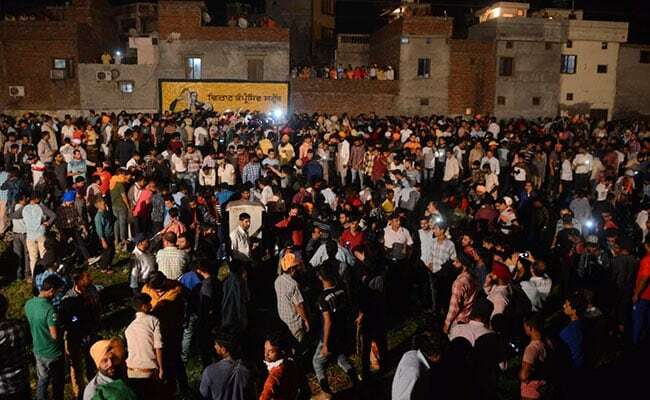 Amritsar Dussehra Event Where 61 Died Was Held "Without Permission"
61 spectators were mowed down by a speeding train hurtling into a crowd of Dussehra revellers, who had spilled on to the adjoining railway tracks at Joda Phatak. Amarinder Singh has ordered stern action against all those found responsible for the Amritsar mishap. The report stated that the event was held in an "illegal manner"
The magisterial inquiry into the Amritsar train tragedy that claimed 61 lives has held that the Dussehra event organised by a ruling Punjab Congress leader was held "without permission" and "without undertaking required safety and security measures". 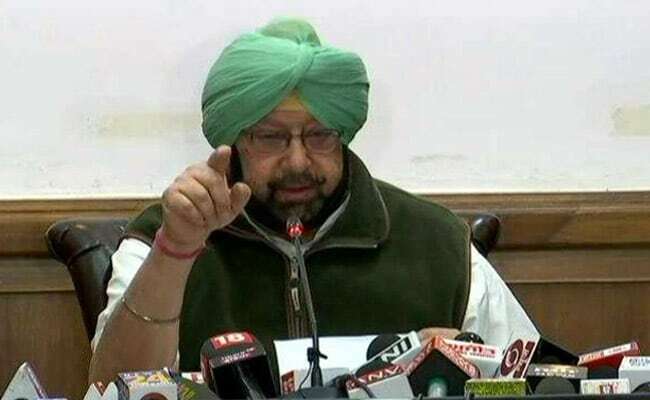 Punjab Chief Minister Amarinder Singh on Thursday "ordered stern action against all those found responsible for the Amritsar train mishap, after the magisterial probe found the gateman of the railway crossing at Jaura Phatak and the organisers of the event accountable for various acts of omissions and commissions leading to the unfortunate tragedy". The inquiry report stated that "the organisers were not having any approval/permission required for holding this event of Dussehra celebration including 'Ravan Dahan' at Dhobi Ghat and they held the event in an illegal manner, compromising the safety and security of spectators' life". The inquiry report observed that while the spectators "committed the mistake" of watching the event from rail tracks, "the organisers held this event without any permission and without undertaking required safety and security measures". The report blamed the police and the Municipal Corporation for their "failure to enforce the law and showing unwanted generosity". The railway authorities have stated that they cannot be blamed, as they were not informed. The report stated that "key rail employees failed to take safety and security measures even after having full knowledge of presence of a large number of people on and around the rail tracks". The magisterial inquiry into the incident, which claimed 61 lives on Dussehra day (October 19), was conducted by the Divisional Commissioner, Jalandhar, B Purushartha, on the orders of the Chief Minister. The inquiry revealed an alarming situation so far as regulation and supervision of an event at a public place/government land was concerned, a Punjab government spokesperson said. "Everyone concerned with organization, regulation and supervision of the event under inquiry committed omissions and commissions including dereliction of statutory duties," the report observed. "It is true that such omissions/commissions/dereliction of duties have not been done for the first time (but) in this event it combined with the blunders committed on the part of key rail employees and a ripe situation for occurrence of this accident was created." The comprehensive report submitted to the Punjab government last month "examined all the aspects related to the tragedy". It was based on interviews with all the people affected and various officials. The inquiry concluded that the, gateman of Jaura Phatak, Gate No. 27, Amit Singh, had not only failed in discharging his statutory duties but also committed a blunder in not taking appropriate safety and security measures which could have easily prevented this accident. "He is one of those key railway employees whose blunder has resulted into this accident," the report said. The report also blamed the gateman of another gate (No. 26) for his failure. "It is also evident that gateman of Railways Level Crossing, Gate No. 26, Nirmal Singh, also failed discharging his statutory duties by his late reaction in informing gateman of Jaura Phatak, Gate No. 27. He came to know about this gathering on rail tracks at around 5.30 pm, but informed Amit Singh at around 6.40-6.45 pm. He did not inform the concerned Station Master and kept giving all right signals to approaching trains. Therefore, he is also responsible for committing this blunder. "It is also evident that the organisers conducted this event without taking adequate precautions/measures to ensure safety and security of the people gathered to watch Dussehra celebration and Ravan Dahan," it added. Blaming the organisers for failure to inform the railways, the report said: "The organisers neither informed the railways nor took any precautions and safety measures to stop people from watching the celebrations from rail tracks". "A simple information could have resulted into issuance of a caution order by the Railways for controlled and alerted movement of trains in this rail section and other security measures which could have easily prevented this accident," it observed. The inquiry made it clear that Navjot Kaur Sidhu, the wife of the Local Bodies Minister Navjot Singh Sidhu, who attended the function as a Chief Guest, had "no role in organising the event". 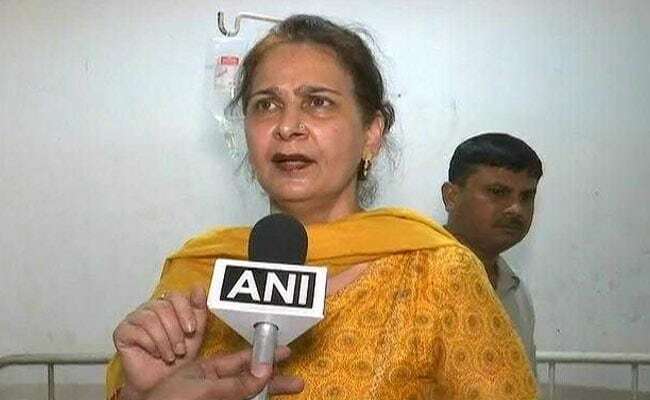 The probe indicted Saurabh Madan Mithoo, the son of Congress councillor in Amritsar and a close political aide of the Sidhu couple, and officials of the Amritsar Municipal Corporation, local administration, police and railway authorities for lapses that led to the tragedy. Mr Mithoo was the main organiser of the Dusshera event while Navjot Kaur was the chief guest. A separate inquiry into the train tragedy conducted by the Chief Commissioner of Railway Safety had blamed "negligence" of the people who were standing on the railway track for the incident. Shiromani Akali Dal leader Virsa Singh Valtoha said on Thursday that they had predicted earlier that the Sidhu couple would get a clean chit in the magisterial probe. The probe commissioner submitted his 300-page report to the Punjab Home Department on November 21. Over 150 people were examined during the probe. Opposition leaders and locals alleged that Navjot Kaur, a former legislator, fled the scene after the train killings.